Day 2 started at 7am with different personal practices, such as yoga and a walk in nature. After a long but rewarding evening of coaching the night before, the participants were ready to begin hosting different processes. During check-in using Circle practice, we were divided into three groups to share what gift we’d like to contribute today. 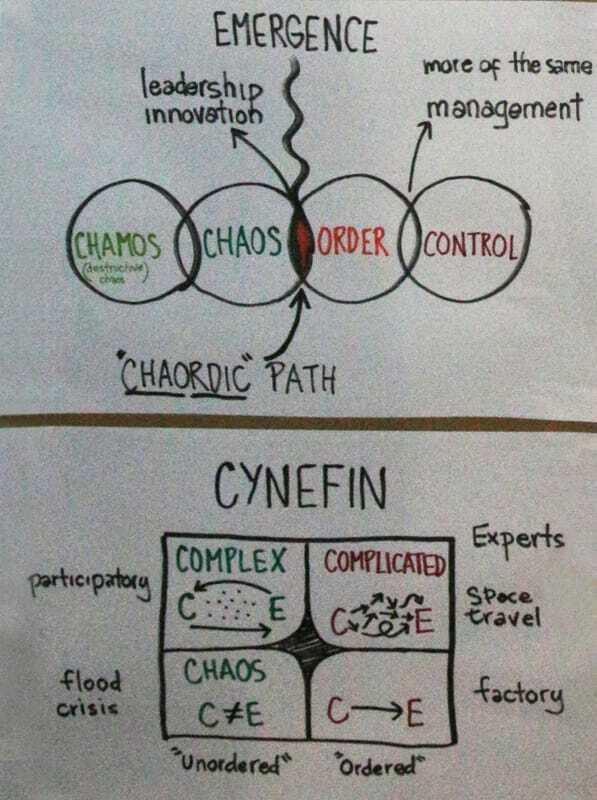 The first piece of teaching during the day was by our steward Tracy, who explained the Cynefin framework, the Chaordic Path, and how in different situations different approaches are needed. 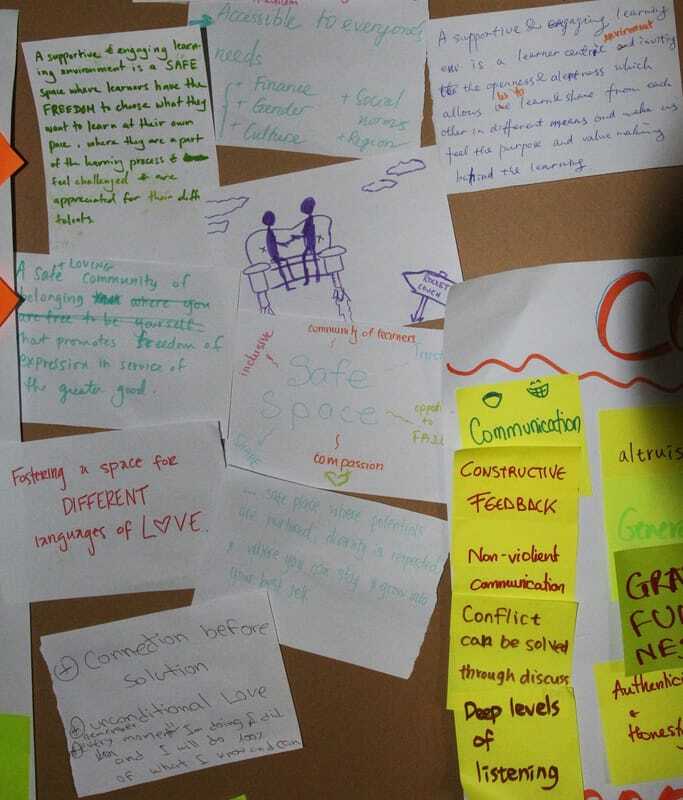 During World Café, we had conversations about what’s happening in the world that calls for supportive and engaging learning environments, and what these environments mean to us. After lunch, our steward Steve shared four levels of listening, and then we put into practice by dividing into groups of three and hearing each other’s stories about a supportive and engaging learning environment that we were once in. In addition to practicing empathetic listening, we were also applying the Appreciative Inquiry to see what has already worked before. Later, in order to deepen our understanding about what we’ve learned so far and to connect with ourselves, we went on a solo walk to get close to nature and be open to generative listening. With the opportunity for new insights and a fresh mind after the solo walk in nature, the conversations resumed. Different trios merged together to find common elements of engaging and supportive learning environments that they’ve experienced. During check-out, we shared one thing that we learned during the day and wanted to keep exploring. Question 1: What is going on in our world now that calls for supportive and engaging learning environments? Question 2: What does supportive and engaging learning environments mean to us? Part 1: Share a story of when you experienced a supportive and engaging learning environment. Part 2 (harvest): What were the conditions for creating supportive and engaging learning enviroments?